Oh my gosh… what happened? I posted on a Monday! WHAT?! Bonus for you, I suppose, since I decided to still write up a quickie Tuesday post! 3. After we are both clean, we do a load of laundry, hang out a bit and then let the laundry hang dry. 4. Now, it is usually time for lunch. 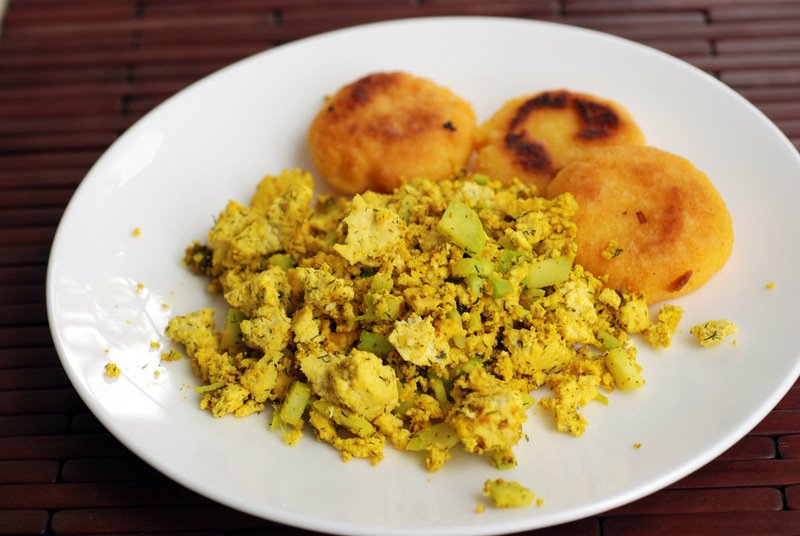 Rob and I usually make a scramble of sorts, with arepas or chilla. Do you have a favourite morning routine? Thank you so much for the kind words from my last post. New friendships take a while to develop, at least for me. I am definitely keeping my chin up… and moving forward. Or perhaps trying just to enjoy what is. It really was a stressful whirlwind last year and it might be nice to embrace the emptiness. Thank you, Anna, for pointing me to this lovely video. One thing is for certain: I couldn’t do this without Rob. I could not imagine doing this year apart. Since Rob works from home, and I labour in the hospital, it is funny how the roles have reversed slightly. I swear, Rob has been more adventurist in the kitchen than me. Rob is cooking up a storm, while I am relishing in my quickie salads, hehe. And the best part? If we time it just right, I can come home to freshly cooked food. Some foods are just not meant to be eaten as leftovers, which is why they are such a treat. 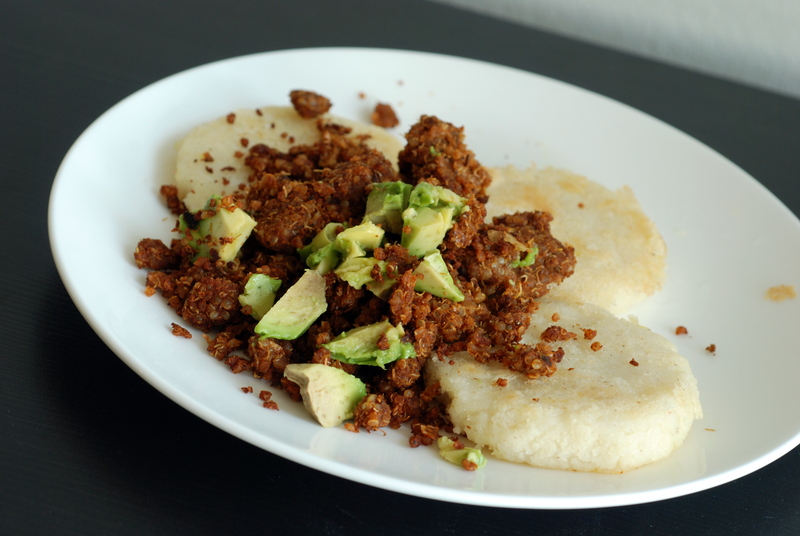 Case in point: arepas. 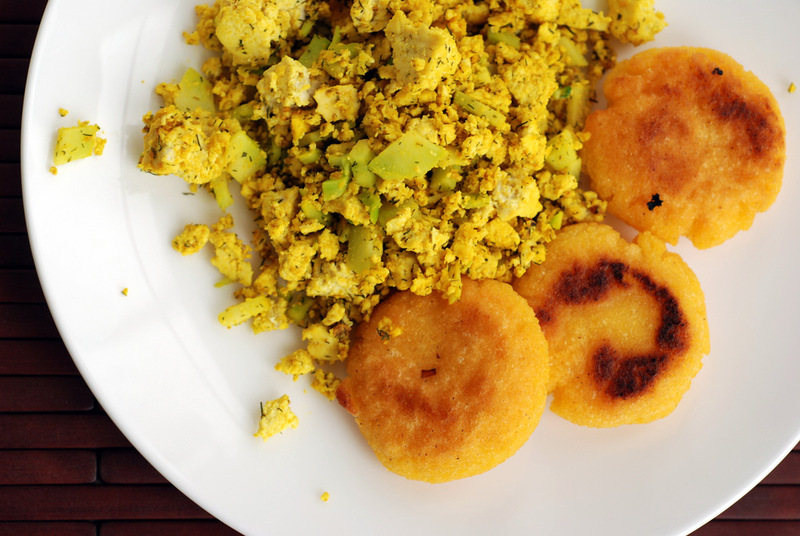 The moist and fluffy arepas with a crispy shell only happen when you make them fresh. We long learned not to make leftovers since they are very lacklustre. They are one of Rob’s specialties, although previously reserved for the weekend when we have more time for food prep. They seem to fit with most any dish, at least in our fusion household. We like to make it with tofu scramble, but this time Rob went all out with the bean-quinoa chorizo crumbles from The Great Vegan Bean Book. 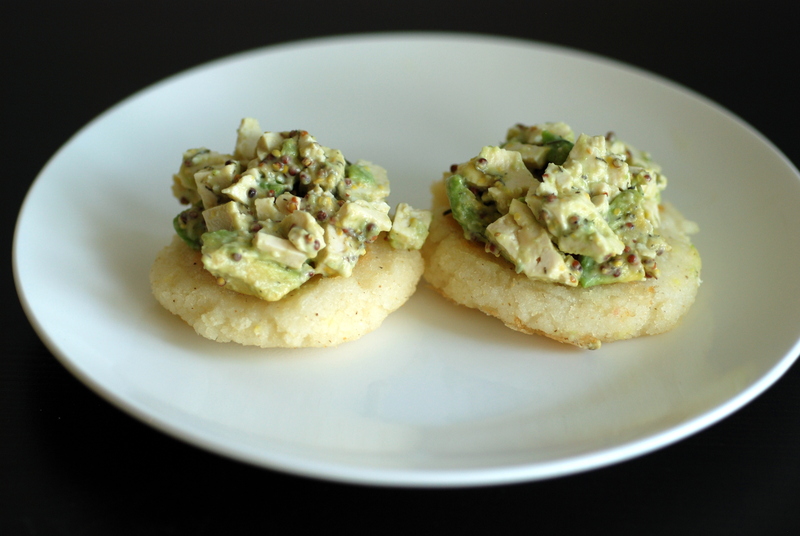 I found them a bit spicy, so I threw together a spin on vegan egg salad: tofu-avocado salad. The avocado, tahini and Dijon make for a creamy dressing while chunky avocado and tofu are surprisingly reminiscent of eggs. The dill adds a nice spin, too. I used dried but I think fresh would be best. Rob is the king of fresh, hot lunches. His specialty on the weekend and while on staycations. Helping me focus more on studying, he is cooking up more of my meals these days. 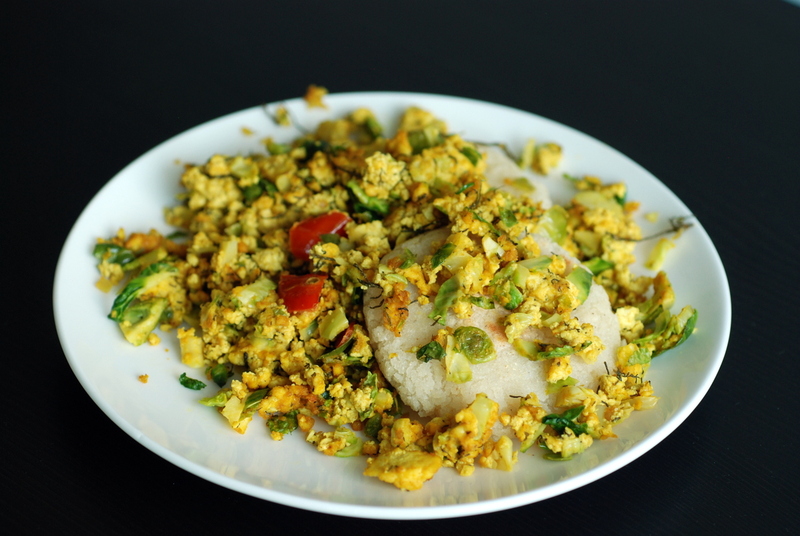 When he makes this dillicious tofu scramble, there is no way I can turn it down. Paired with freshly made arepas, we have a winning combo. 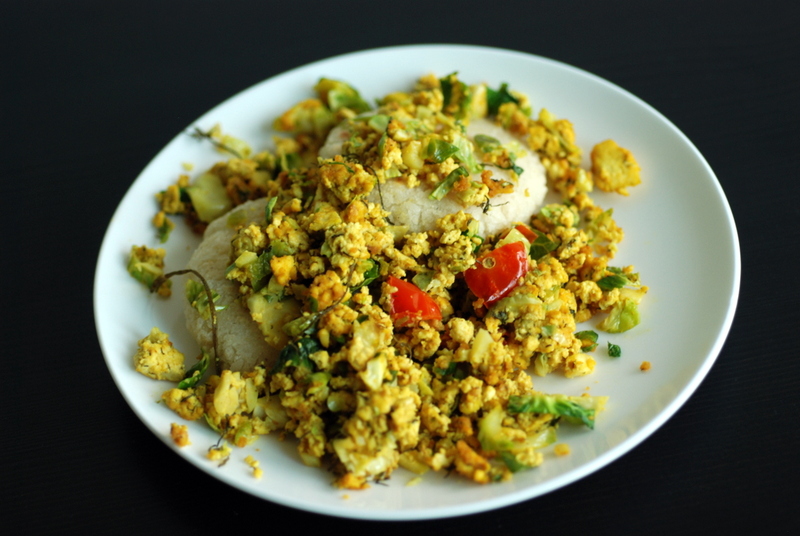 Yes, this tofu scramble has dill, along with zip from onion, garlic and tamari. The cheesiness comes from nutritional yeast and egginess from black salt. But, really, it isn’t trying to imitate scrambled eggs, although that is how we came up with the idea to add in chopped broccoli stems. We discovered arepas while in Colombia. A corn-based pancake, it was typically made with cheese and stuffed with some sort of meat. 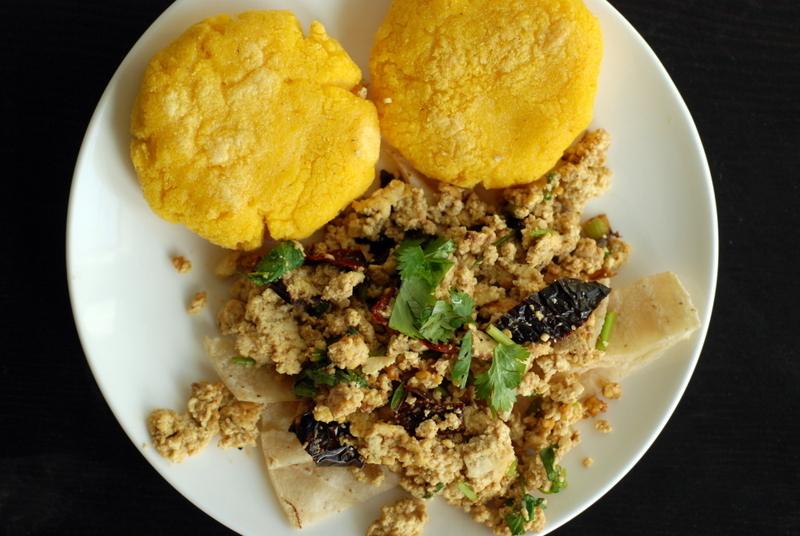 While hiking to The Lost City, our chef extraordinare made some arepas sin queso (without cheese) for me one morning. They used a more elaborate, although simplistic method, for making the wider and flatter Colombian arepas with a tortilla press. 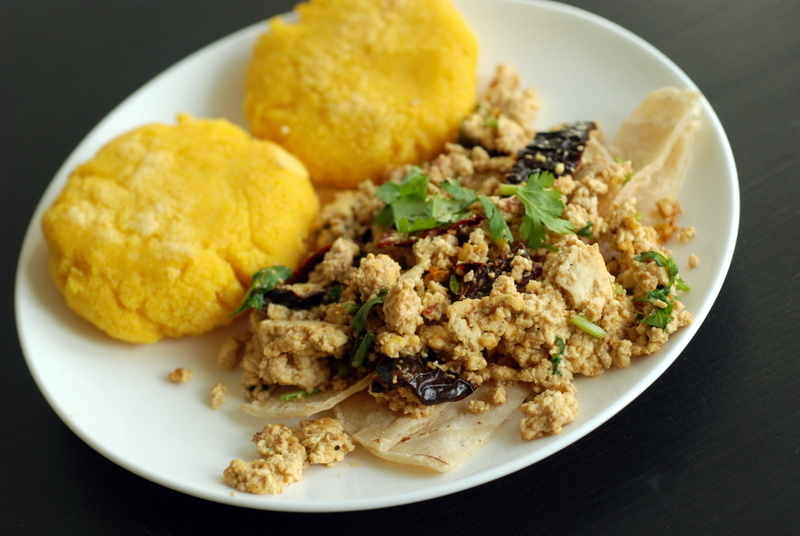 Here, we have adopted a Venezuelan-style arepa as it is thicker and baked. Yes, there is a secret ingredient in here. After love, of course (which is why I themed this post with V-Day, HA!). 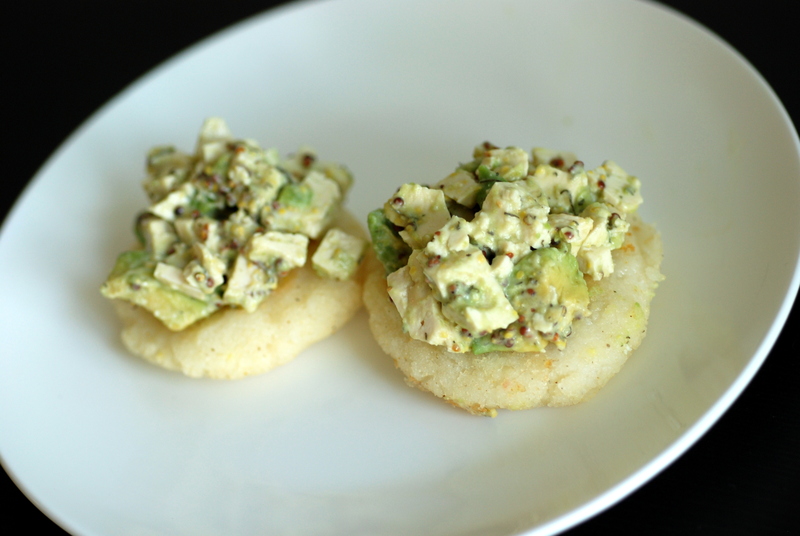 Another Rob’s Repeater Recipe, arepas are super simple to make once you have located masarepa flour. 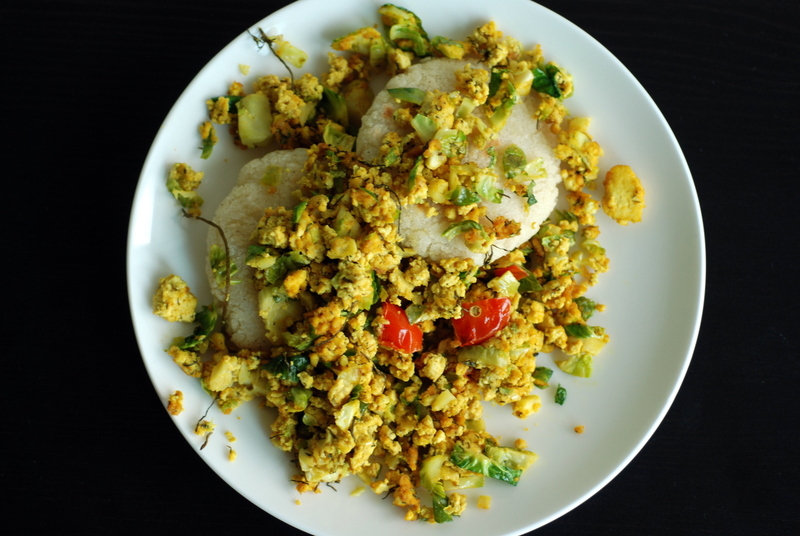 You need pre-cooked finely ground corn meal. We used PAN (found just steps away from Welcome Food Mart but I have seen it elsewhere, too, like No Frills and Walmart), which comes in both yellow and white varieties. 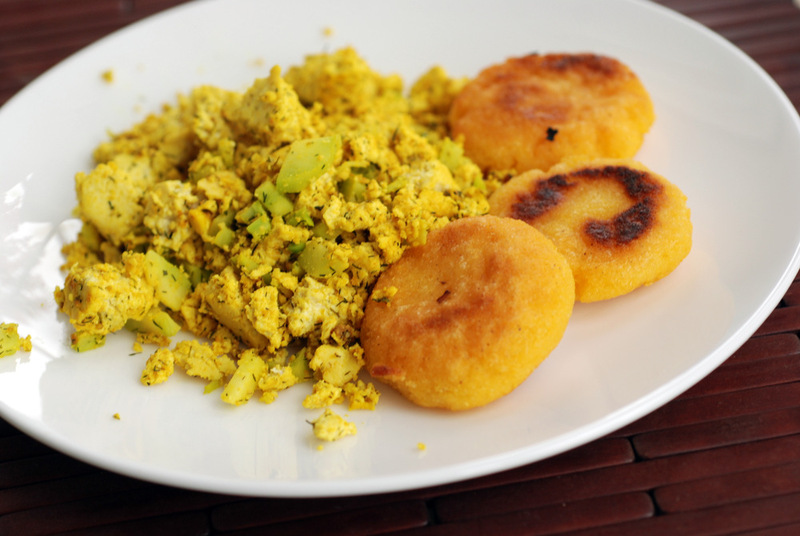 Both colours are ok. To make arepas, corn flour is mixed with salt and water. You let it rest, then form into flattened balls. Pan-fry it in a non-stick skillet to create a brown crust (yes, it tasted better if you use a bit of oil) and then bake it to cook it all the way through. No kidding, these were better than what we had in Colombia. Soft like a corny mashed potato inside with a delicious crispy crust on the outside. One problem, though: the leftovers are not as good cold. 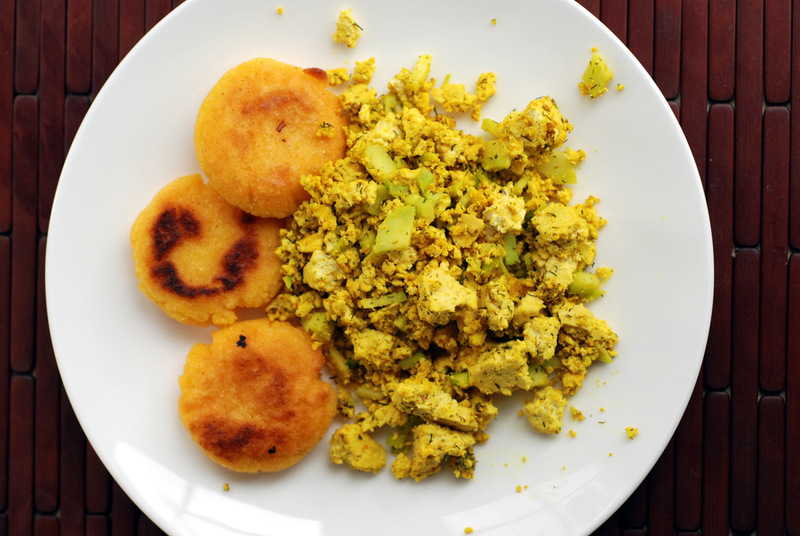 Rob made mini arepas as a side to the tofu scramble, but feel free to make them slightly larger and fill them with the scramble (it just isn’t as pretty). Rob cooks. I photograph and eat. Oh, and study. I could get used to this.